Looking for North Dakota auto transport quotes? Find out how to make an informed decision when looking for the right car delivery service to ship a car to or from North Dakota. The first step is to get an auto transport quote. Do some research. Is the quote for door-to-door service or terminal-to-terminal? Many auto transport companies hide that their quotes are for terminal-to-terminal service and will add to the quote if you want door-to-door service. Next, determine if the company you are researching is an auto transport broker who will pass your vehicle shipping order off to a third party, or an actual auto transport carrier who will handle your auto hauling order from beginning to end. Auto transport in and out of North Dakota is part of daily life at J&S Transportation. J&S Transportation has been active in North Dakota for 12 years but it’s really picked up in the last 3-5 years thanks to all the activity on the Bakken Formation. Of the 235,000 vehicles we’ve shipped on our own trucks, many route through North Dakota. We’re in there on a weekly basis. You’ve found a reliable auto hauler to ship your vehicle. The most common route through North Dakota for J&S is Highway I-94 which services Williston, Mandan/Bismarck, Jamestown, Fargo and Moorhead, MN. We’re also frequently on Highway 2 which has access to the highline, the Bakken Formation and Minot, as well as I-29, which is the main thoroughfare into Grand Forks. J&S’s business in North Dakota is growing and much of it is related to the Bakken formation. If it wasn’t for the Bakken our presence in North Dakota wouldn’t have grown the way it has over the last 3-5 years. With all the people moving into the state and the car dealers and rental agencies that provide vehicles for them it’s obviously helped our service in and out of there. J&S moves freight in and out of North Dakota on a weekly basis and we plan on being a force in North Dakota for a long time to come. We have a relationship with ADESA Fargo, which is an auto auction held on Thursdays, as well as with dealerships and car rental agencies like Hertz Rent-A-Car, National Rent-A-Car, Enterprise Rent-A-Car, and Avis throughout the entire state. Our trucks are in there weekly to haul the freight we get at ADESA Fargo and other auctions which means we are helping deliver cars and trucks to dealerships, rental agencies and individuals all over North Dakota. North Dakota car dealers come to the auction to stock their lots or fulfill sales orders, and they count on us to get their vehicles delivered quickly and safely. The biggest car market areas in North Dakota for J&S are the Mandan/Bismarck and Fargo/Moorhead areas. We deliver vehicles weekly for Bill Barth Ford and Kupper Chevrolet in Mandan, Dvorak Motors and Puklich Chevrolet in Bismarck, Gateway Automotive in Fargo and Ward Muscatell Automotive Group in Moorhead, MN, which is right across the Red River from Fargo, but is part of the same metropolitan area. North Dakota is a rural state with many towns off the beaten path. These may be more difficult to service but we’ve never told anyone we couldn’t pick up or deliver their vehicle because of where they live. When an order is placed from a more rural community, we’ll contact the customer to get all the pertinent information. Our transport trucks are pretty big and heavy so we’d prefer not to go on gravel or dirt roads. In that case, we’ll make a courtesy call and try to give them anywhere from a 6 to 12 hour notice when we know we’re going to come in and pick up the unit. And we’ll ask the customer to meet us in a convenient location. Say they are near Tioga; we’ll ask them to meet us in Tioga. The bottom line is when a client books a piece of freight we need to get to moving ASAP. J&S does this day in and day out. We know the right questions to ask. We know the auto transport industry because we are an auto transporter. We are not just a broker. J&S Transportation does door-to-door auto transport as often as possible, however our trucks are not allowed in some residential areas. In that instance J&S Transportation and our drivers will arrange a convenient and safe location with you for pickup or delivery of your vehicle. Some towns are difficult, but we have never told anybody we can’t haul your vehicle. J&S delivery times average 5 to 14 days depending depends on where the vehicle is being shipped from and to. Every move is different. 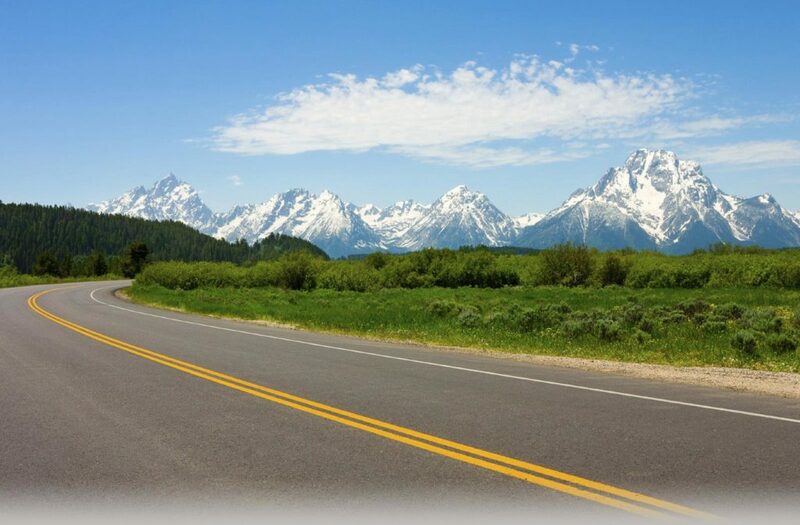 J&S is based out of Montana; we’re only one state away so we have knowledge and familiarity with the region. There are not a lot of auto transport companies that have the amount of trucks in North Dakota on a weekly basis that J&S does. We are headquartered in a neighboring state, it’s in our wheelhouse. North Dakota is an important area for J&S Transportation and is a very big part of our everyday business; we have a lot of repeat business there. You hear it all the time from folks, “you moved a car for us a year ago,” and they remember how well we performed for them. Customers say that our communication is excellent, our follow up is great, and our website is practical and easy to use. If problems do arise, they are impressed with our communication and follow through more than anything else.